The largest world Fair dedicated to education and training is going to take place in Hannover, from 20 to 24 February. The event will be attended by a delegation of the organising committee of Fair Didacta Italy (the only spin off event of the German fair) including Indire’s president Giovanni Biondi, the councillor for tourism and fairs of Florence city council, Anna Paola Concia, Leonardo Bassilichi, president of Florence Fair, and representatives of the MIUR and ITKAM. The exposition area includes the stand of Fair Didacta Italy, where the activates carried out during the first Italian edition of the event and the new initiatives of this year’s Italian edition, taking place from 18 to 20 October in the Da basso Fortress in Florence, will be presented. 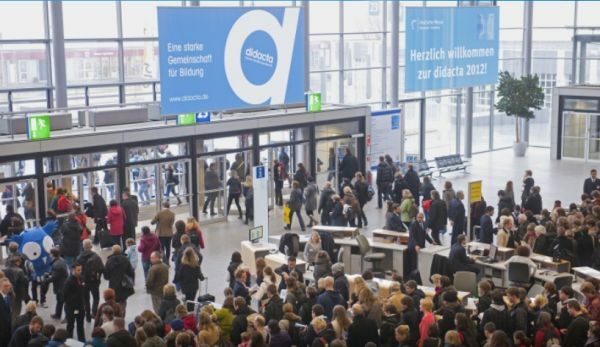 Last year’s edition of fair Didacta Italy was attended by 20,000 people who took part in 93 workshops and conferences, and involved 150 exhibitors, among which 9 foreign companies coming from Germany, UK and China. The Councillor for education of the Toscana Region, Cristina Grieco, declared: «The participation of the Italian organising committee to Didacta Germany, in Hannover, with the fair stand realised also thanks to Fse is a stepping stone to the second edition of Didacta Italy, which is going to take place in October». According to Anna Paola Concia, councillor for Fairs, conventions, territorial marketing and tourism of Florence: «The partnership with Didacta Italy is successful […] this fair has taken place for 50 years but Fair Didacta Italy has demonstrated to be worthy of the German fair. Our presence serves the purpose of promoting Dacta Italy in the world and strengthen collaboration with our German colleagues». Indire’s president, Giovanni Biondi, declared: «the first edition of Didacta Italy concluded with a positive result. The large turnout for workshops and conventions means that teachers are interested in becoming the main actors in school innovation. Didacta Italy must become, even more, the ideal place where confrontation on themes such as technological innovation, new perspectives for teachers’ training and new learning environments take place». «With the success of the first edition in mind, we are working with the institutions and the partner organisations in order to make our fair more beautiful and competitive. Didacta is not only a business opportunity for the companies operating in the school sector but also a valuable training opportunity for our teaching staff» Leonardo Bassilichi, president of Florence Fair, declared.